All LAS VERDES / KINGS POINT homes currently listed for sale in Delray Beach as of 04/21/2019 are shown below. You can change the search criteria at any time by pressing the 'Change Search' button below. 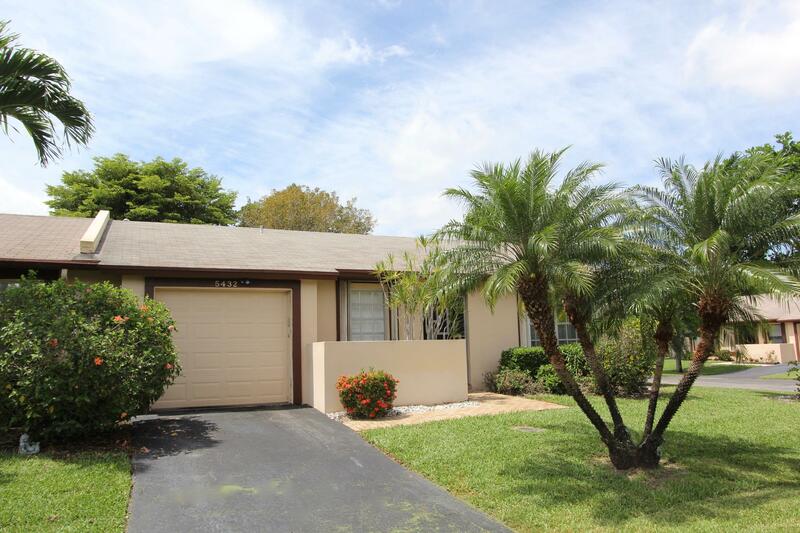 "This beautiful 2 bedroom 2 bath villa with 1 car garage is located in Las Verdes, a 24 hr guard gated community that boasts 3 pools/jacuzzis, tennis, exercise room with fitness activities, library, crafts, billiards, b-ball, handball, bocci, shuffleboard, & pickle ball. Some features include beautifully renovated kitchen and bathrooms, plantation shutters, a spacious screened in patio. This is a 55+ Community. The monthly maintenance includes lawn care, cable tv and pest control. Only a 10 min drive to 95 and the tpke, downtown, the beaches, and the best dining in Boca/Delray."